This PPP of the USAID and Medical Care Development International (MCDI) seeks to achieve approved malaria targets of USAID and the government of Benin by implementing malaria prevention interventions, improving malaria diagnostics and treatment protocols and strengthening the national health system's capacity to deliver and manage quality malaria treatment and control interventions. In October 2011, MCDI signed a 5 year US$ 30 million cooperative agreement with USAID to increase nationwide coverage and use of key life-saving malaria interventions in support of the Benin National Malaria Strategy. The program will complement the existing USAID/Benin Maternal and Child Health (MCH) program and other donor-supported malaria programs. The MCDI consortium (consisting of sub-partners Johns Hopkins Center for Communications Programs (CCP), Management Sciences for Health (MSH) and Africare) has developed a comprehensive approach to combine mass media, advocacy, community mobilization, interpersonal communication, counseling and capacity building to scale-up malaria prevention and increase demand for services. The Consortium has created innovative partnerships with the Beninese private sector, non-governmental organizations (NGOs) and includes the active participation of community organizations. MCDI has identified four local umbrella membership organizations that are instrumental in health care provision in Benin and cover (respectively): private companies, many with health clinics, non-governmental organizations (religious or other) that provide health services and manage hospitals and clinics throughout the country; and other NGOs working at the community level. MCDI and its partners work with the NMCP to strengthen technical, management, leadership and supervisory capacity at the National, Departmental and Health Zone levels to support improvements in technical oversight, establish clear goals for the provision of quality treatment and establish accountability at health facilities. Africare is one of the most experienced and largest African-American led non-profit international development organizations, and they are leaders in development assistance to Africa. Since their founding in 1970, Africare has delivered more than $1 billion in assistance to tens of millions of men, women and children across the African continent. Their almost entirely African staff has an unparalleled knowledge of the continent – its challenges and opportunities. Through their direct community engagement, they have nurtured valuable relationships with key local figures ranging from community leaders and traditional authorities to presidents and prime ministers. 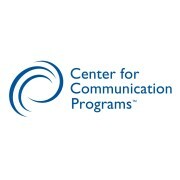 The Center for Communication Programs (CCP) uses communication to save lives, improve health, and enhance well-being. The Johns Hopkins Bloomberg School of Public Health — the oldest and highest ranked school of public health in the United States — established CCP in 1988 to focus attention on the central role communication plays in health behavior change. With a staff of approximately 450, CCP is active in more than 30 countries worldwide as well as in Baltimore. Helping people make healthy choices has been the goal of CCP since its formal opening in 1988. But their history starts a decade before that, when, in 1979, Dr. Phyllis Piotrow brought the project that became the Population Information Program to the Johns Hopkins School of Public Health. In 1982, she added the Population Communication Services project. In 1988, in recognition of the crucial role of communication in public health, JHU established the Center for Communication Programs, better known around the world as CCP. Since that time, CCP’s powerful programming, teaching and research has literally touched billions of people. Today, CCP has over 60 projects that reach people in more than 30 countries and has yearly expenditures of over $100 million. Our major donors include the United States Agency for International Development, the Bill & Melinda Gates Foundation, UNICEF, DFID, and more. 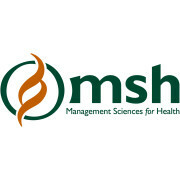 CCP is now based within the Department of Health, Behavior and Society at the Johns Hopkins Bloomberg School of Public Health. They invite you to learn more about their work, staff and vision for the future of communication in public health. 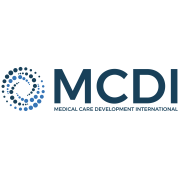 The international division of Medical Care Development, MCDI was founded in 1977 with the belief that MCD's successful approach to health systems development in the rural United States could be adapted to meet the needs of developing nations. A global non-profit organization, MCDI uses practical, evidence-based and high-impact approaches to strengthen health systems in developing countries. For almost 40 years, MCDI has worked to improve the health of vulnerable populations overseas through integrated, sustainable and locally-driven interventions. MCDI has implemented public health programs in over 40 countries aimed at targeting the world's most vulnerable populations. MCDI collaborates with donors, national governments, the private sector, health agencies, communities and local stakeholders to improve health and save lives in the following areas: malaria control; maternal, neonatal and child health; water, sanitation and hygiene; tuberculosis; HIV/AIDS; and other communicable diseases. MCDI upholds the highest ethical standards in our work. MCDI staff are driven by the personal conviction that they can make a positive difference in the lives of others. MCDI recognizes that partnerships are the back-bone of our success. Our work around the world and across disciplines is informed by respect and appreciation for the ideas of others. MCDI is accountable in its actions and use of resources. MCDI is constantly seeking creative solutions to address the changing needs of our donors and partners. MCDI believes that individuals, communities and countries will be able to improve their health if they are empowered with the knowledge and behavior necessary to do so.